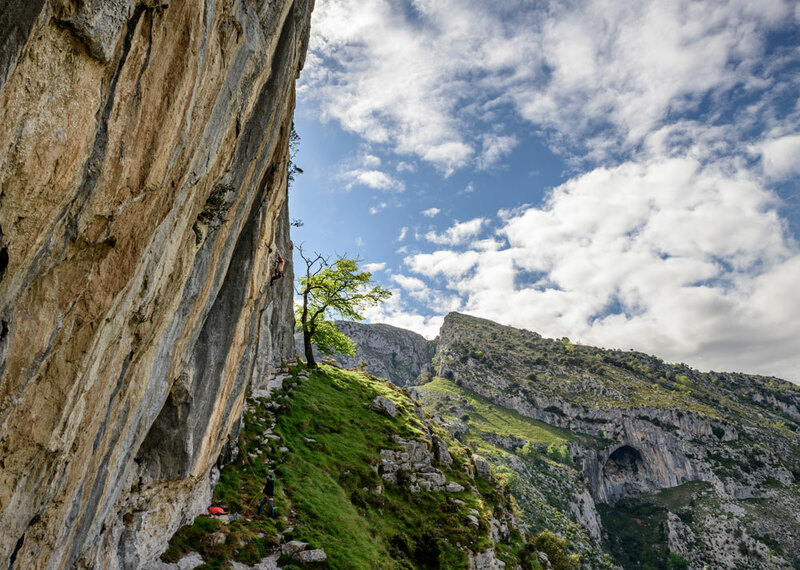 A world-class venue, and possibly the crag that everyone´s been waiting for more than any other, Cicera has a selection of brilliant climbs on perfect rock. 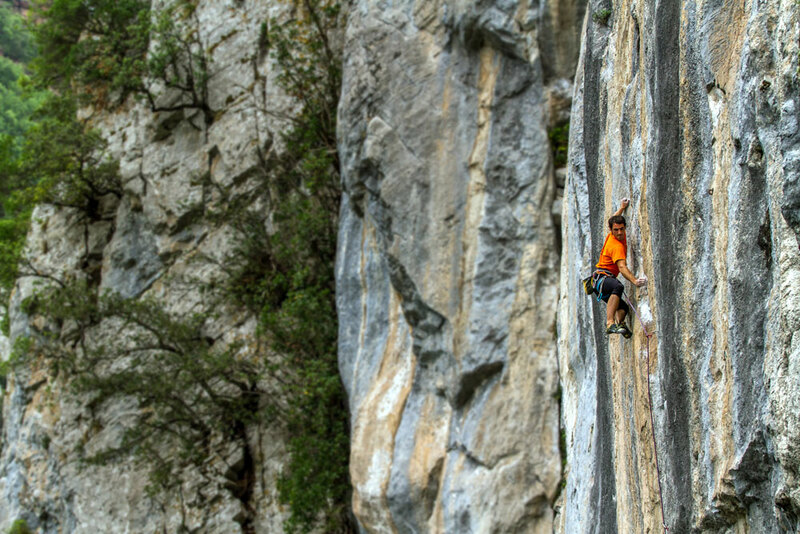 Sitting opposite, and complementing almost perfectly the ludicrous tufas of Carcalosa, the main sector is only slightly overhanging making for technical and very pumpy wall climbing. Carlos Cué, Plataforma, 7c, Cicera, una vía muy técnica de placa desplomada. 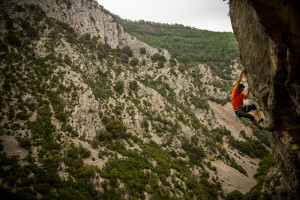 It’s a mix of grey and orange rock with good friction and mainly long or very long routes. 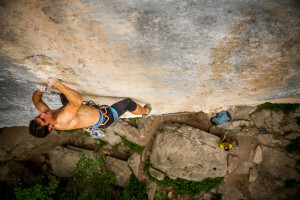 For those climbing in the high 7s and 8s there’s an endless supply of testpieces and, unlike much of the valley, it’s a venue where finger strength and climbing ability take precedence over big arms! 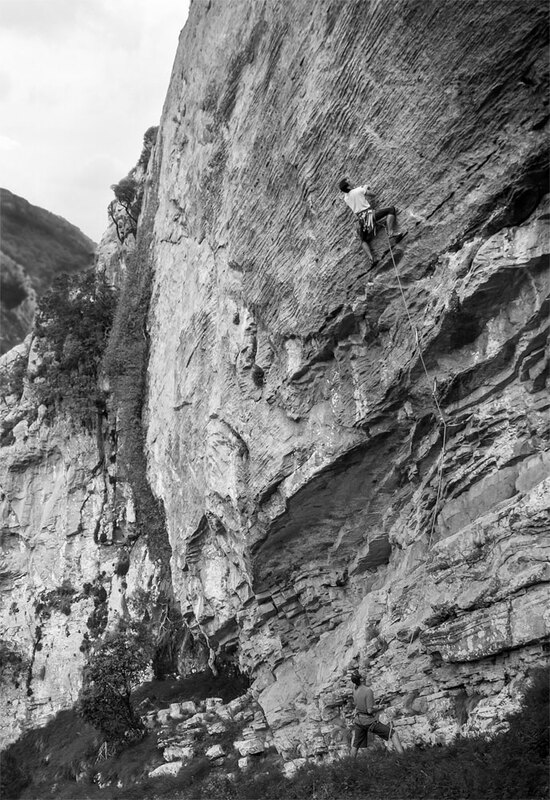 In addition, the lower crag provides more entertainment in it’s own style with grey almost ‘Verdon-like’ fingery slabs and some tough, shorter roofs. The familiar theme is the lack of easier climbs but with such high-quality routes it’s easy to forgive. 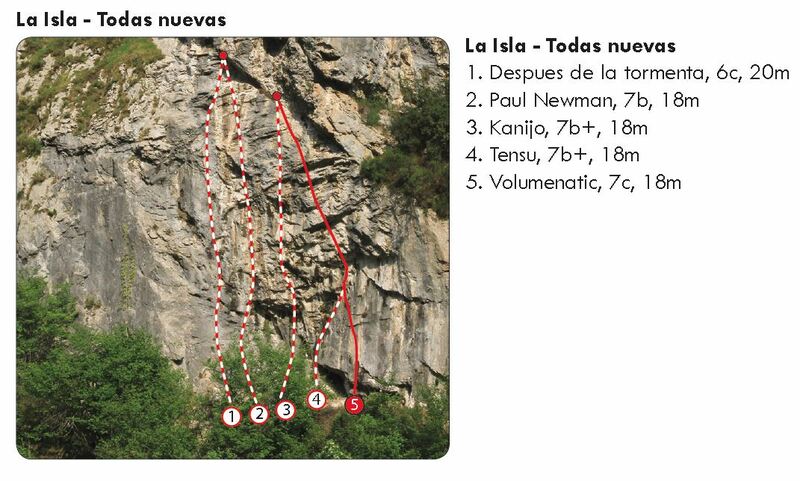 Another view of the lower crag, this time a super cool 7a, Corbatas de Unquera. Children: Fine for older children but quite a long walk in and steep underneath. Season: Usefully, the upper crag is almost never in the sun so it’s great through the summer and can also get a good breeze in late afternoon. 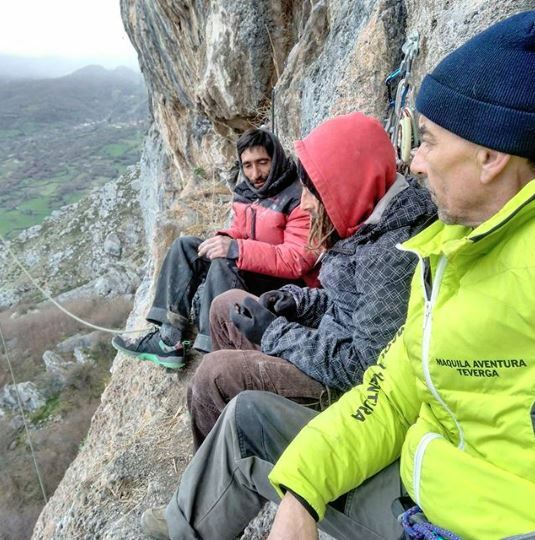 The lack of sun does mean it can be cold in late autumn and spring and once wet it does seep a bit and can take a while to dry – though there are plenty of routes which stay dry all year. Overall it’s a very reliable venue for good conditions. 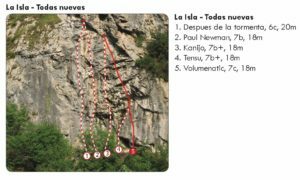 Desde hace 20 años la pared del río Cicera es uno de los principales escenarios de la escalada deportiva en Cantabria y la escuela es una de las joyas de la guía nueva (http://bit.ly/ComprarLaHermida). 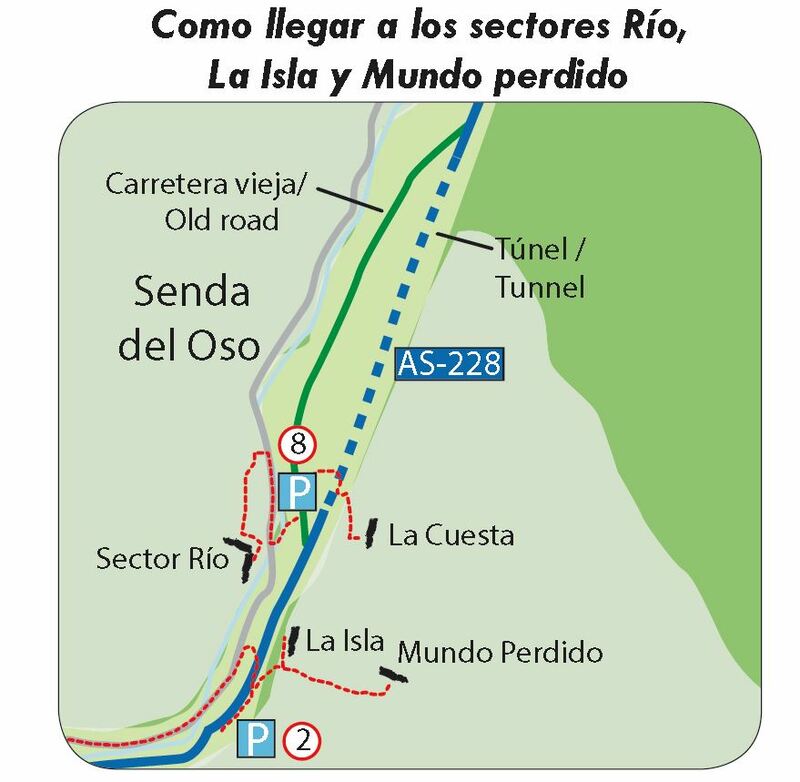 Es un lugar de primera categoría, con una selección de vías fantásticas con roca perfecta. Justo enfrente de Carcalosa, es el complemento casi perfecto de sus chorreras, con un sector principal que desploma ligeramente con vías técnicas, de continuidad y muy largas en su mayoría. 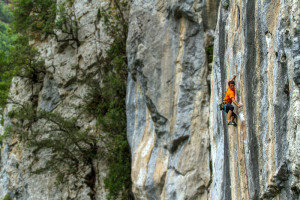 La roca gris y naranja ofrece buena adherencia. 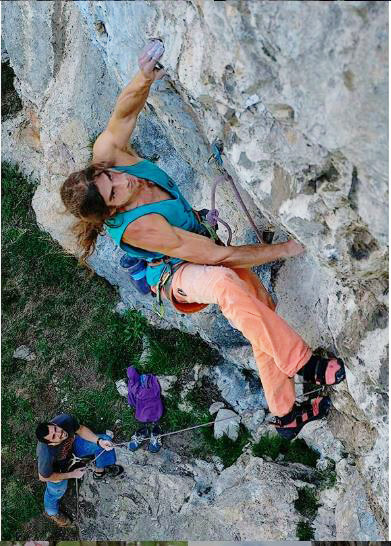 Hay muchas vías entre el séptimo y octavo grado aunque, a diferencia de lo que predomina en el valle, exigen fuerza de dedos y buena técnica, más que brazos musculosos. 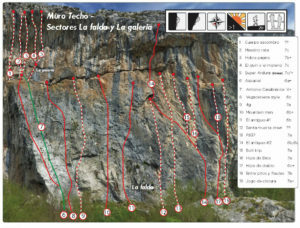 El sector de abajo ofrece además vías con estilo propio, en una roca gris que recuerda a Verdon, con placas de presa pequeña y algunos techos cortos y duros. 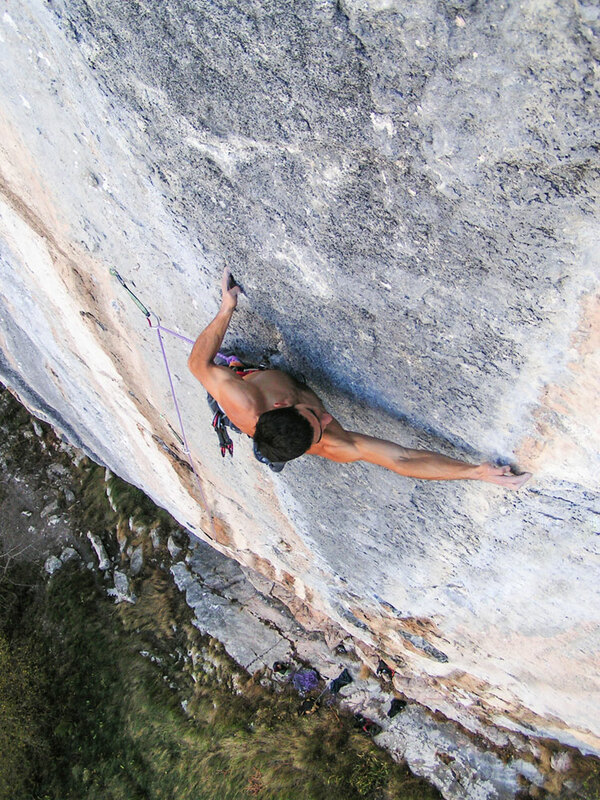 Como es habitual, la pega es que hay pocas vías fáciles, pero la calidad de las vías es tan buena que se puede perdonar fácilmente esta carencia. Época: Casi nunca le da el sol, lo cual es muy interesante, ya que se está muy bien en verano, e incluso corre aire a última hora de la tarde. Pero la falta de sol también significa que puede hacer frío a finales de otoño y en primavera; cuando se moja filtra un poco y tarda en secar, aunque hay muchas vías que están secas todo el año. En general, es un sector que garantiza buenas condiciones. Niños: No esta perfecto pero para niños mayores tampoco es malo; aunque hay que caminar bastante y la base tiene terreno en cuesta. 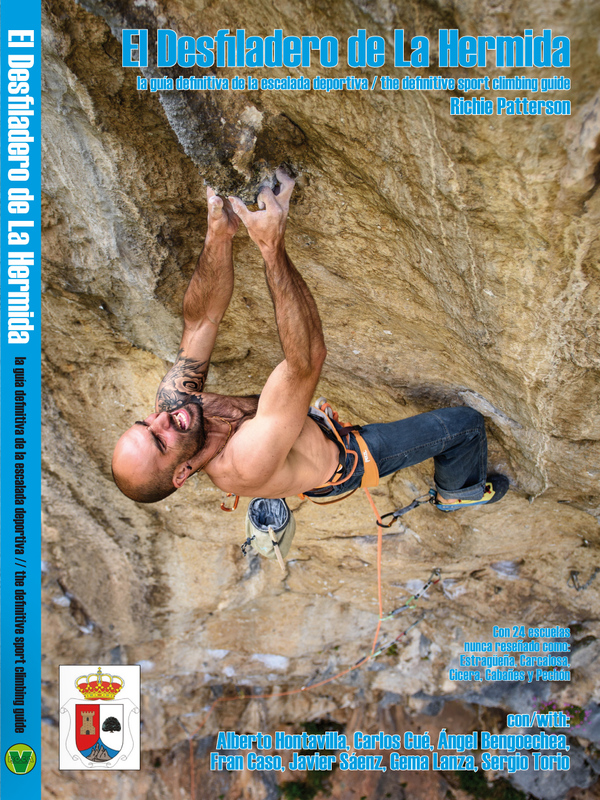 New La Hermida guide book! 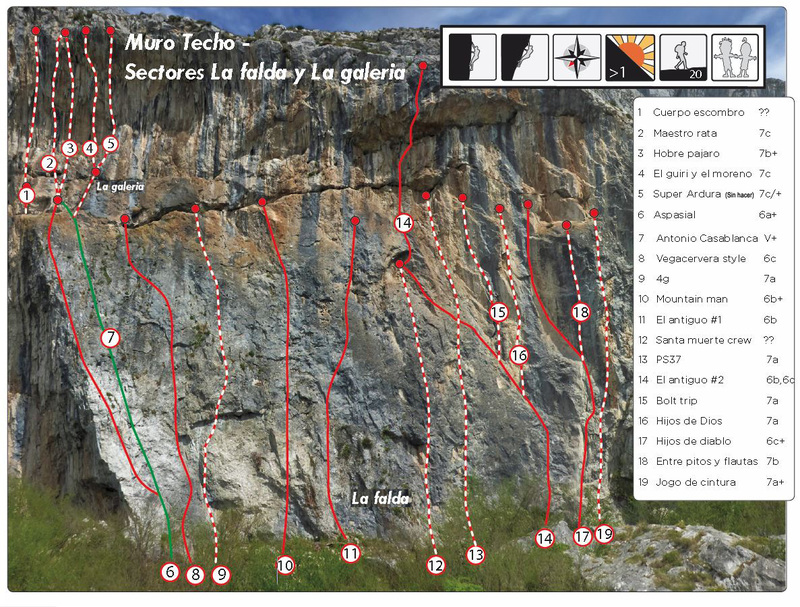 Our new La Hermida climbing guide is at the printers!!! 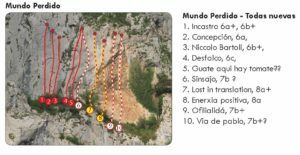 The most anticipated guidebook of the year ‘El Desfiladero de La Hermida – the definitive sport climbing guide’ which contains 24 never before published crags (and nearly 700 routes) in this tufa-strewn region of northern Spain will be in shops in two weeks. However, you can be the first to get your hands on the book by pre-ordering it here on our website. And as soon as the book arrives in our warehouse we’ll ship it straight to you…the cost of the book is £20 and is available with free shipping to the UK for a limited period.